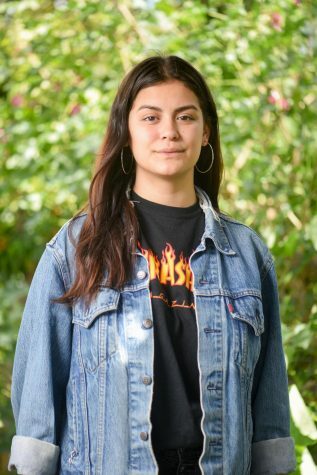 Alexandra Montes De Oca on Monday, April 15, 2019, at City College in Santa Barbara, Calif.
Second-year neuroscience student Alexandra Montes De Oca is running for senate president because she wants to make student mental health a priority at City College. 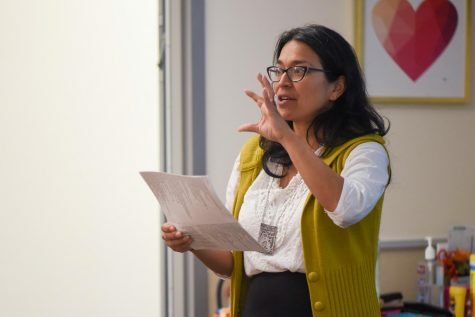 “Having good psychological health is something that is important to me,” Montes De Oca said. 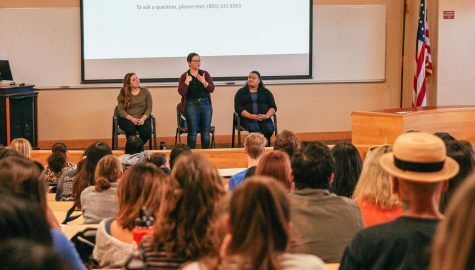 She said she will create more “open communication” between the senate and students. Additionally, she hopes to have more “fun stuff” on campus. For example, she wants to create a nap station because she believes it is needed to help support students’ mental and physical health. She emphasized that she wants students to feel comfortable coming to her with their needs and concerns. 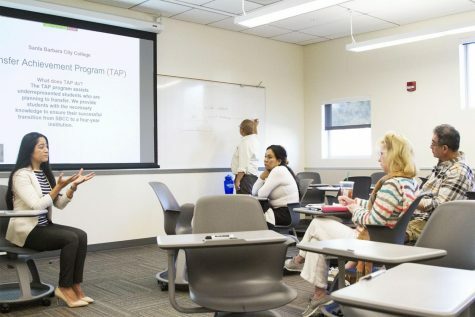 “I can’t think of all the creative ideas on my own, I want students to come to me,” she said. 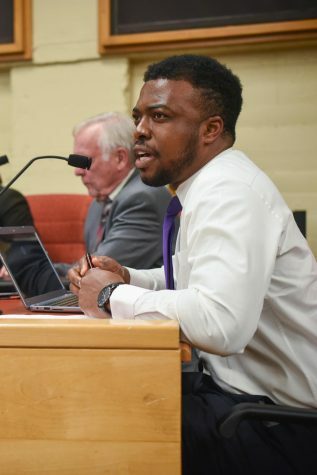 Kenny Igbechi speaks at the Board of Trustees meeting on Thursday night Feb. 28, 2019, at City College in Santa Barbara, Calif.
With a year’s worth of experience serving on Student Senate under Student Trustee Kenny Igbechi’s belt, he said he feels excited and prepared to take on food and housing insecurity as his top priorities. Igbechi said he decided to run for Student Trustee again because there needs to be a strong voice that speaks for the student body on the Board of Trustees. He believes he can once again fulfill this duty in an effective manner. 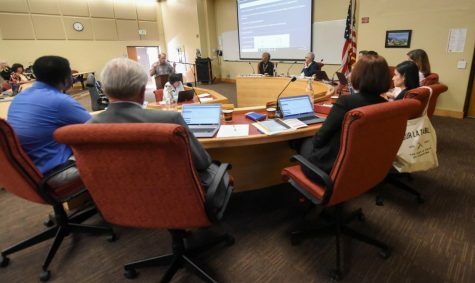 “There’s a lot of politics going on with the board and it’s so unfair to the students,” he said. As part of his goal as Student Trustee he wants to make sure the needs of the students are made the top priority by the Board of Trustees. 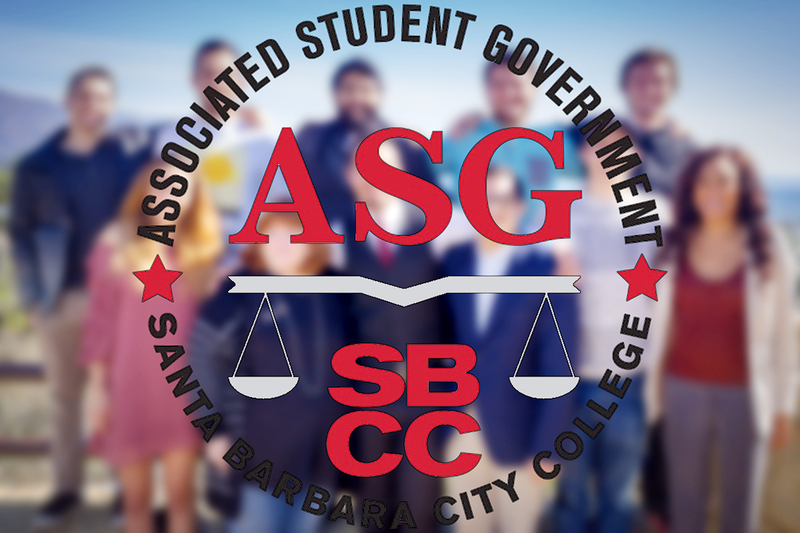 Food and housing insecurities are Igbechi’s main priorities because “there’s a lot of students who don’t have a place to stay.” He said he hopes to work with the SBCC Foundation to help solve these issues. 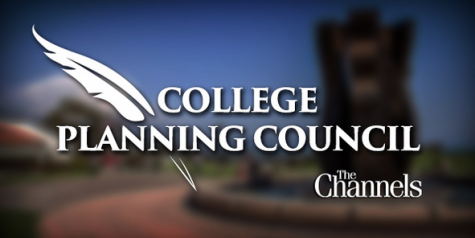 He said he will also work to better inform the student body about the Board of Trustees’ meetings. He said students need to know “they have a lot of power and influence” over decisions and actions made by the trustees. 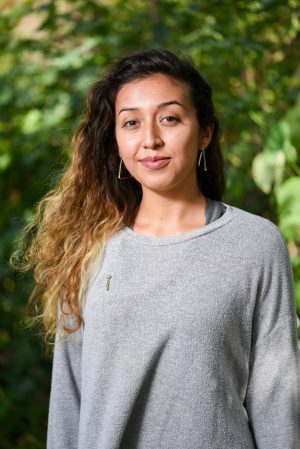 Sage Desiree Gasper on Monday, April 16, 2019, at City College in Santa Barbara, Calif.
City College student and Santa Barbara native Sage Gaspar wants to better represent minority students on campus as student advocate. Gaspar wants to implement a greater feeling of respect and understanding between students, staff, faculty and administration at City College. She said creating a way of receiving student input and needs will contribute to the understanding and respect.